A vacation is meant to be a fun and relaxing time. However, worrying about the security of your home can be stressful. Here are some simple security tips to keep your home protected while you are away on vacation. It’s natural to want all of your friends and family to know you’re about to enjoy a great vacation. But it’s actually a better idea to wait until the vacation is over before sharing that information on social media. Announcing your vacation online ahead of time puts your home at risk. In between all of those likes and shares it’s possible that a burglar is lurking. More criminals are turning to social media as a tool for scoping out properties before committing a crime. When homeowners announce that they are going on vacation, they are letting those criminals know when they will be gone, where they are going, and how long they have. That’s more than enough information to plan a burglary. Even posting pictures during the vacation can let criminals know you’re away from home and the property is empty. Practice patience and wait until you’ve returned before showing off your awesome vacation photographs. There’s nothing wrong with letting the local police department know you will be on vacation. They may send additional patrols throughout the neighborhood on occasion to scare away any potential criminals. It’s not a guarantee, but it can potentially protect your property. Most police departments are more than willing to help in cases like this as long as they aren’t too busy. A stack of newspapers and magazines on the front porch is a clear sign that nobody is home and they haven’t been home in a while. This is often one of the first signs that criminals look for when trying to find their next target. You’ll need to make sure your home isn’t on their list by preventing any buildup in the mailbox or on the porch. Of course, this can be difficult if you aren’t home. One approach is to ask a neighbor, friend, or family member to check your mail regularly while you are gone. As long as they bring in the mail from the box and the newspapers from the porch, the problem is solved. You can give them a spare key so that they can take the mail inside your home or have them hold on to it themselves until you return. A slightly easier approach is to ask the post office to hold your mail and newspaper while you are away on vacation. It’s possible to make this request up to thirty days in advance. This only applies to mail delivered by the United States Postal Service. Once you’ve returned, you simply pick up the mail from your local post office. This includes some ideas mentioned in the last tip, but with a little more involved. It’s always a good idea to ask for help from a neighbor if you can trust them. One way is by asking them to bring in any mail that piles up outside. You could also ask them to shovel a driveway or trim the hedges depending on how long you will be on vacation. The idea is that they will help the house look as though someone is there. Locking the doors and window is obvious, but even that won’t be enough to protect your belongings if someone makes their way inside. You will need an additional layer of security for your valuable items. A good idea is to invest in a safe . Place all of your jewelry, important personal documents, and expensive electronics inside the safe and hide it somewhere it’s not likely to be seen. 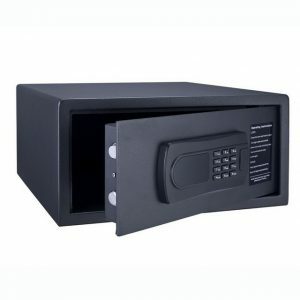 If you don’t have a safe, then it’s still a good idea to hide those valuable belongings out of sight. There are likely several really good hiding spots around your house. If you’ve lived there for several years then you may have already found them. If not, then spend some time locating them. Just make sure you don’t forget where they are while on vacation. Alternatively, you can ask a friend or family member to hold on to some of the most valuable items. Leaving a spare key under a rock or above a window is a timeless tradition. But that doesn’t mean you should do it while you’re away on vacation. Burglars know all of the best places to look for keys. You can bet that if your key is hidden outside they will find it before you’ve returned. Make sure you collect all of your spare keys and lock them inside. If anyone will need to enter the property while you are gone, then a spare key with them directly. In decades past, homeowners were advised to leave their lights on when out on vacation. This would cause burglars to believe that someone is actually home. Unfortunately, it’s not simple anymore. Leaving lights turned on for a week or two straight will look just as suspicious as having them off for weeks straight. The modern criminal is smarter and willing to watch the property for some time to determine if anyone is home. Automated lights that work on timers are the ideal solution. There are several ways you can achieve this. One way is to use home automation software via Wi-Fi. You can then turn the lights on and off as you choose with a smartphone app. A second technique is to purchase lights with built-in timers. Some lights even allow for randomization in the timing. Most burglars don’t want to deal with security systems. They are looking for the easiest possible targets in the town. That means the least amount of security and the lowest risk. Use signs and stickers to make it known that you have a security system. These tips are simple but are usually more than enough to guarantee the safety of your home. The goal is to make the home look lived in and secured so that burglars pass by the house without giving it a second thought.